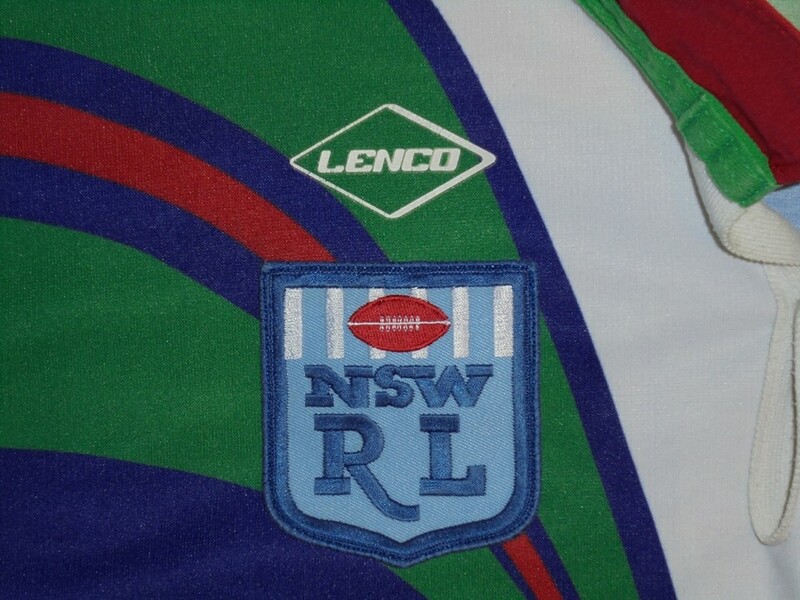 The 1994 jersey was released in anticipation of the Warriors joining the ARL competition the following year. 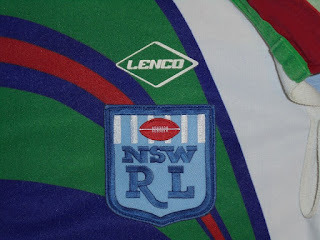 Because the competition was still being run by New South Wales Rugby League these jerseys would feature their badges on the right breast. This is the only difference between the 1994 and 1995 jerseys. 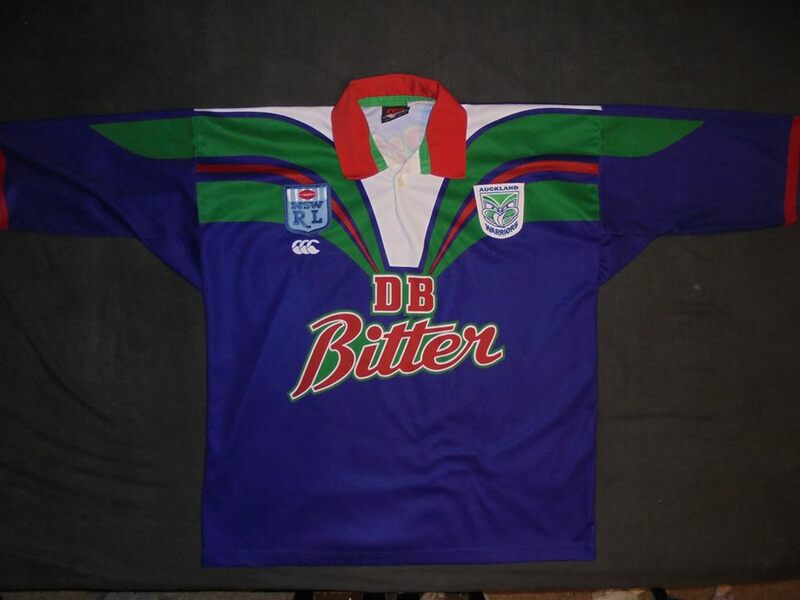 OFFICIAL REPLICA - Made by Canterbury Clothing CCC. 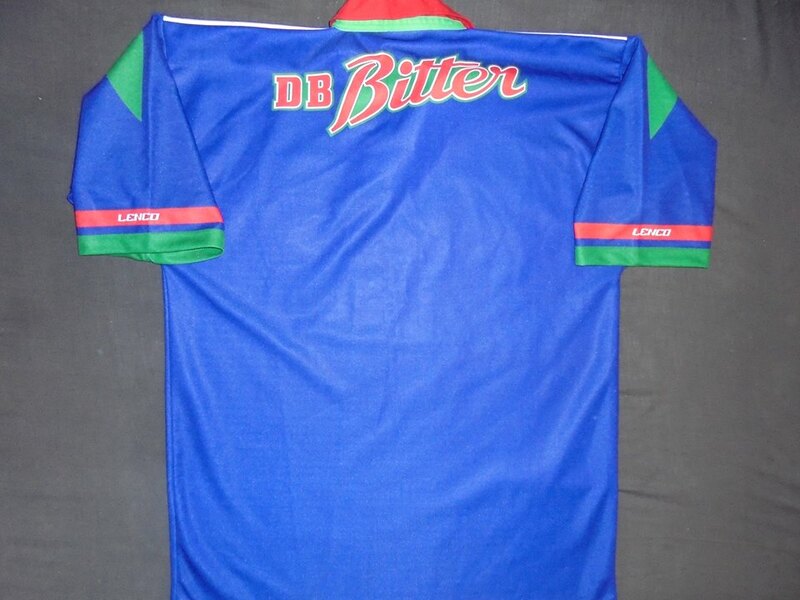 Everyting on the jersey was sublimated on polyester with only the collar being made of cotton. The key difference between the 1993 and 1994 jersey was the CCC logo was placed under the NSWRL badge. 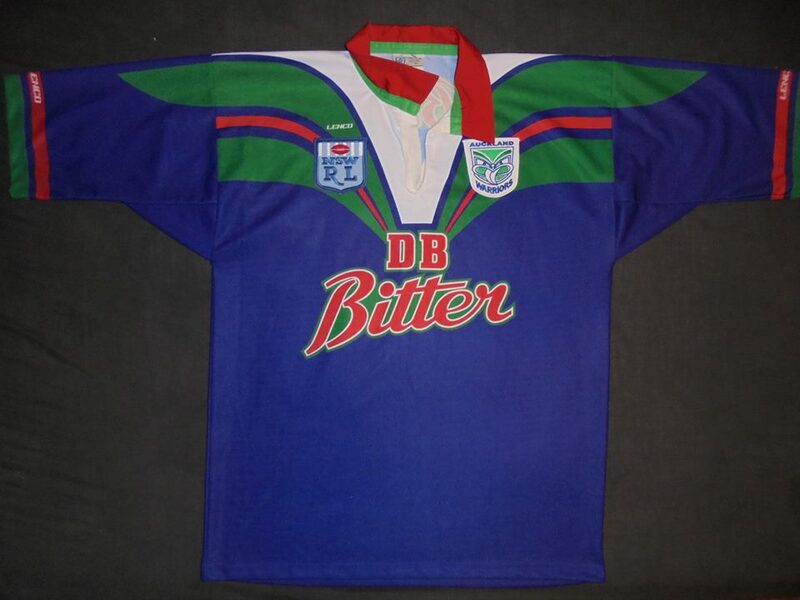 There was no sleeve sponsor as ANSETT hadnt been announced as a sponsor when these jerseys were being made. 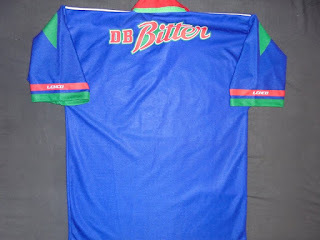 Some may exist though. 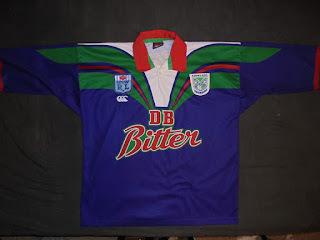 You will see this jersey on internet auction sites now and then and they dont usually get more interest then the 1995 jersey. 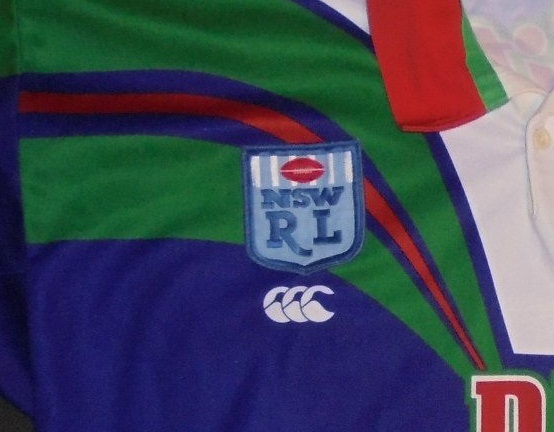 REPLICA VARIATIONS - Up until 1999 the ARL/NRL owned the manufacturing rights to teams jerseys and would sell licences to producers. 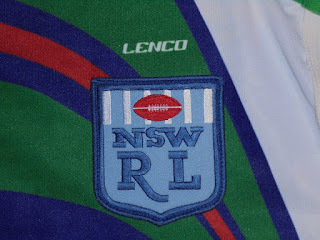 Only variation Im aware of is made by Lenco. They would have their logo on top of the NSWRL badge as well as on the sleeves.